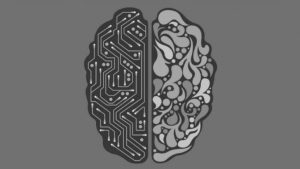 Home Blogs Why AI and why now? There has been a lot written about the potential benefits of Artificial Intelligence and Machine Learning for business users. Some of that has been positive. In the DHL Trend Radar 2016 it highlighted the benefits from Artificial Intelligence (AI) and other technologies on the supply chain. It sees self-learning systems as being a game changer especially when allied with autonomous data-driven system. Healthcare has seen several technology vendors hone their machine learning and AI tools. IBM Watson Health line has delivered tools to speed up drug detection and cancer diagnosis. But what about the workforce? Stories about the potential for robotics to replace manual labour workforces are not new. Manufacturing has been revolutionised through robotics and will continue to benefit from its introduction. In the world of white collar workers, however, there is more concern about AI. Chatbots are already becoming big business. They are already being used successfully to replace automated telephone systems. Their use as decision support tools is also on the rise. IBM has insisted that its Watson Health tools only provide information and are not aimed at replacing medical staff. They take the symptoms and medical observations, search through vast libraries of information and provide the clinician with a set of possibilities. This has left many wondering if AI will follow robotics in taking away jobs. What have the benefits of technology been to the business? It’s a good question. Much depends on what part of the business we look at. In manufacturing we have seen significant benefits from technology. Robotics is a good example. Many of the manual and menial tasks are now carried out by robots. They are controlled by IT systems that direct how to cut, shape and combine materials. Robots work 24×7 only taking time off for maintenance and repair. Pharmaceuticals and the food industry are also making use of technology. Sensors ensure the optimum temperature for cooking food or creating drugs. Other sensors ensure that the product is stored and shipped at safe temperatures. Wastage has reduced significantly while productivity has risen. In agriculture, the use of technology has improved crop yields. It has allowed farmers to better choose which crops to sow and how best to manage them. Even the act of harvesting everything from grains to root vegetables to soft fruit can now be done more efficiently with robots than workers. Mobile technology has revolutionised the way that field service teams work. They can get work orders quickly and once on a job access schematics and documents to help with repair. The systems allow for smoother progression of work orders from fault call to the ordering of parts and the eventual billing of satisfied customers. But what has technology done for the office worker? This is the question that is hard to answer. Office productivity tools have increased access to information and increased collaboration. They have also changed the way offices work. Dictation and typing pools have been replaced by word processors on all devices, including mobile phones. This means that people create their own documents. They are also expected to have skills such as using spreadsheets and manipulating data. The increased use of business intelligence (BI) and data analytics products aimed at end-users rather than data scientists has grown over the last decade. These tools have tried to make it simpler for users to acquire, manipulate and enhance data. Organisations have invested in these tools both on-premises and in the cloud. They have also employed data scientists to help create algorithms and processes to simplify data management and to extract new understanding from the data. Yet for many organisations, the return on investment of all this is limited. This has led software vendors to improve their enterprise software packages by building AI and machine learning into their data products. How many of the solutions are really AI and how many are just easier user interfaces to find, search and refine data is open to question. The bottom line is that there are benefits beginning to appear. Chatbots are a technology already mentioned. In addition to replacing telephone systems they are being used to speed up help desks. They can understand increasing amounts of text and voice input and use that to help the user find information. Along with chatbots there has been investment into emotional intelligence systems. In insurance and banking these systems are used to identify untruths and to spot potential fraud. They are more reliable than human beings although they do have limitations. Enter AI, machine learning and OODA. The military strategist John Boyd defined a process – Observe, Orient, Decide, Act. It was initially created as a military doctrine for combat operations. In business terms it favours the agile organisation over others. The challenge for organisations is that OODA relies on fast feedback loops. For those to be effective there has to be rapid and accurate assessment of data. For most businesses, the gathering, analysis and action phases of data takes weeks, months or even longer. The biggest inhibitor to this is the ability to assess and analyse the data. This is where AI and machine learning offer benefits for the business. One of the advantages of using AI and machine learning is that it has the ability to ingest very large amounts of data, often in real-time. It can then take that data and begin to analyse it based on business requirements and needs. It can establish those requirements based on the data a business owns. In effect it is the missing link to help identify the ‘new truths’ and ‘new opportunities’ that the IT industry tells business is there. The worries about AI tools replacing humans is, as with robotics, not without some foundation. There will be jobs that can be codified and left to intelligent systems. However, the bigger benefit for organisations is to overcome the inertia that too much data has created. If we cannot assess and respond to data then it is useless. Part of the solution is AI. It can do the heavy lift in terms of data analysis and deliver new information to the end user. The question for many organisations is how to get started with AI and machine learning. In the next blog we will look at the challenges of building an AI or machine learning solution in-house. In his role as VP of Product Marketing, Ram Krishnan drives product marketing strategy and execution, including product positioning and messaging for new product launches, demand generation, content development, sales enablement and sales tools development. Ram has more than 20 years of experience in the enterprise software industry. Prior to Aera, Ram was a VP of Market Insights at Anaplan where he led a number of strategic go-to-market initiatives. Before that, Ram was a Senior Director at SAP’s Analytics Center of Excellence. In his 7-year tenure at SAP, he drove product strategy and solutions for several finance and analytics portfolios. He holds a MBA in General Management and Corporate Strategy from Santa Clara University and BE in Electronics and Communications from PSG College of Technology.